CN 3 - Tough and powerful! 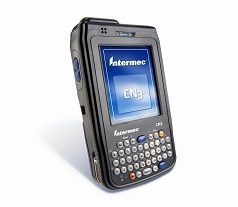 The CN3 is the first fully rugged mobile computer to incorporate up to four wireless technologies into a compact PDA form factor. Add 3G WWAN and Cisco Compatible WiFi, and your users are fully connected with real time voice and high-speed data (GSM/EDGE or CDMA/EV-DO) anywhere they go.